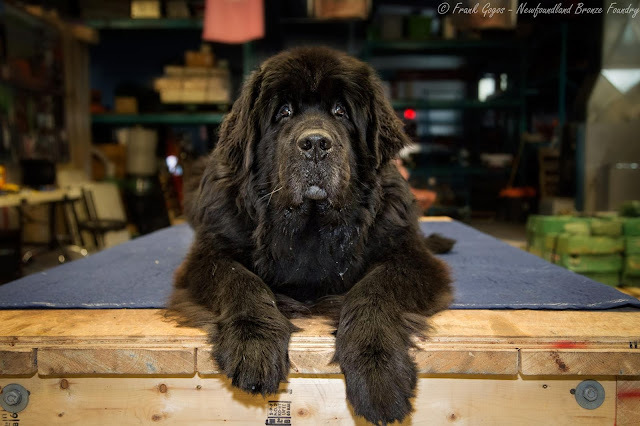 We would like to send a big thank you out to Paul Lannon and his Newfoundland dog Maxx. Paul is a former Ganderite whose career included E.P.A. and later Air Nova. He and his family presently reside in Kelligrews along with Maxx. 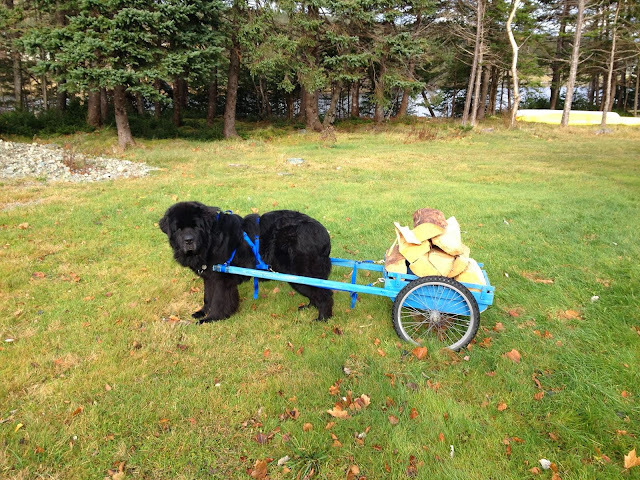 Maxx was born in 2006 at Seagirt Kennels just outside Twillingate. Paul says Maxx is very easy going and quick to learn. He enjoys swimming in the ocean and loves to haul firewood while harnessed to his small cart and pulling nieces and nephews through the snow on toboggans. 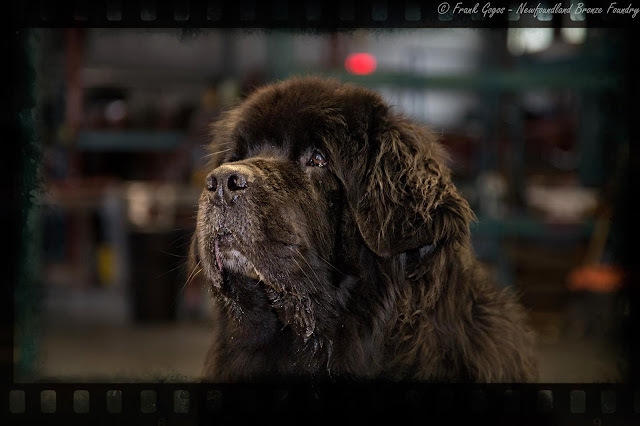 In 2013 Maxx appeared briefly on the Great Canadian Race and played an injured dog in Animal Planet's story of "Picaso". When the call went out to find a model to stand in for the sculpturing of a statue of Sgt. Gander, Paul and Maxx stepped up and here are some photos of Maxx's first sitting with sculptor Morgan MacDonald. Now Paul tells us that Maxx's full name is Hairyman Maxx. 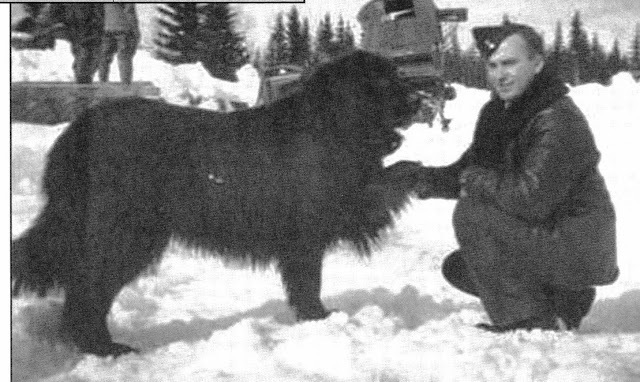 He is named after the Newfoundland dog owned by Ann Harvey who was also known as "Grace Darling of Newfoundland". Ann is famed for her bravery at the young age of seventeen who, along with her father, younger brother and their Newfoundland Dog Hairyman, rescued 163 shipwrecked souls from the brig Despatch between 12–15 July 1828. On July 17, 1987, the Canadian Coast Guard Ship CCGS Ann Harvey was commissioned in memory of Ann's heroic deeds. So here's to our noble Maxx for his patience during his first modelling session and to Paul for giving his time and effort to get this done. We would also like to thank Charlene Walsh for her generosity by offering "Chad" as a potential model and, also, Jennifer Woo and "Levi" who has been a stand-in for Sgt. Gander in the past. It's anticipated that the statue of Sgt. Gander and also the statue of his soldier handler will be completed and mounted at the Park by September 15th of this year 2014. 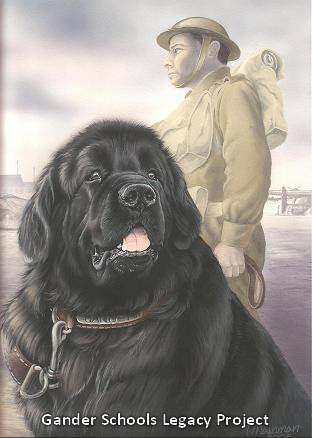 We are looking for a mature Newfoundland Dog residing in the St. John’s area, similar to the size/structure of Sgt. Gander, to pose for the sculptor to make a maquette (French word for scale model) for Sgt. Gander’s statue. Anyone who is willing to bring his/her dog to the studio for a modeling session, please private message me Maxine with a photo @ maxine@briggsaero.com. This is a rare opportunity to pose as a famous hero for a renowned sculptor! Levi has been used for a stand-in for Sgt. Gander at events at the Park. This is actually Sgt. Gander so this is the size/stature we are looking for.